When you are in need of upholstery cleaning services, give us a call to let our professionally trained technicians handle any of your large or small cleaning needs on couches, beds, chairs and other upholstered or leather furniture. Our upholstery cleaning service is able to restore the beauty and even extend the life of your furniture, with all of the wear and tear that furniture takes, it can require a lot of work to keep it looking its best. Our upholstery cleaning system uses 100% eco-friendly cleaning solutions that eliminate harmful bacteria that can cause allergies and irritation. Most people never have their upholstery cleaned. Dust, sand, grime, and all number of other pollutants gather over time, setting of allergies, and leading to fabric deterioration and the need to replace these expensive items sooner than reasonably necessary. Have them professionally cleaned and protect your investment from early wear and tear. "The tech was exceptionally customer oriented. I really appreciate the work and appreciate his attitude even more. Thanks!" - Julie W.
DC Carpet Cleaning utilizes a specially-designed low-moisture steam system to clean your upholstery items. 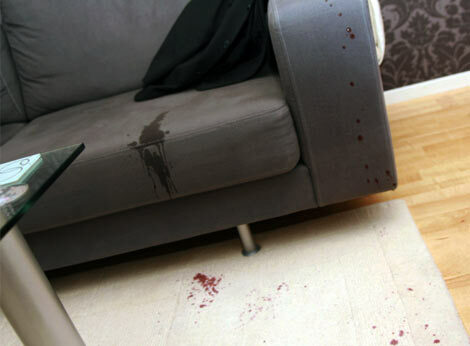 This allows us to clean your furniture without leaving behind any dampness or residue or causing any harm to your furniture or fabric, including leather. Our home upholstery cleaning system is safe on all fabrics and will restore the appearance of your furniture. Mattresses are often overlooked as something that needs to be cleaned. The truth is, mattresses are loaded with things that we don’t want to think about, let alone sleep on. Dust mites by the millions, pet dander, dead skin, and other allergens. This can be a major reason for not getting a good night’s sleep, especially for people with allergies and asthma. Draperies accentuate a room. Long, flowing curtains can create a majestic and great effect. However, dirty drapes lead to an accumulation of dust and dirt that will cling on to the fabric. Unclean draperies would also attract bacteria, which can potentially affect the health of those who are exposed. Restore your drapes into their original luster and beauty. You may not think to call a carpet cleaning company when you need car upholstery or RV cleaning, but we should be your first choice. Much like home furniture, vehicle upholstery benefits from professional cleaning from time to time. Sometimes our vehicles take a greater beating than our homes, we have everything needed to get even the toughest stains out of your car or RV. © 2018 DC Carpet Cleaning.